Every time we begin our Mass we began with something that all of us probably take for granted, and hardly think about. We do it so often. It is a faith statement. It is a re-statement of our baptism. At our own baptism when water was poured over our heads…the first words that made us members of the Body of Christ, was the sign of the cross. Those words we speak again, and in effect, re-Christen ourselves. We brand ourselves with God in His three persons. And whatever we do or say after is in the name of the Father…and the Son…and the Holy Spirit. 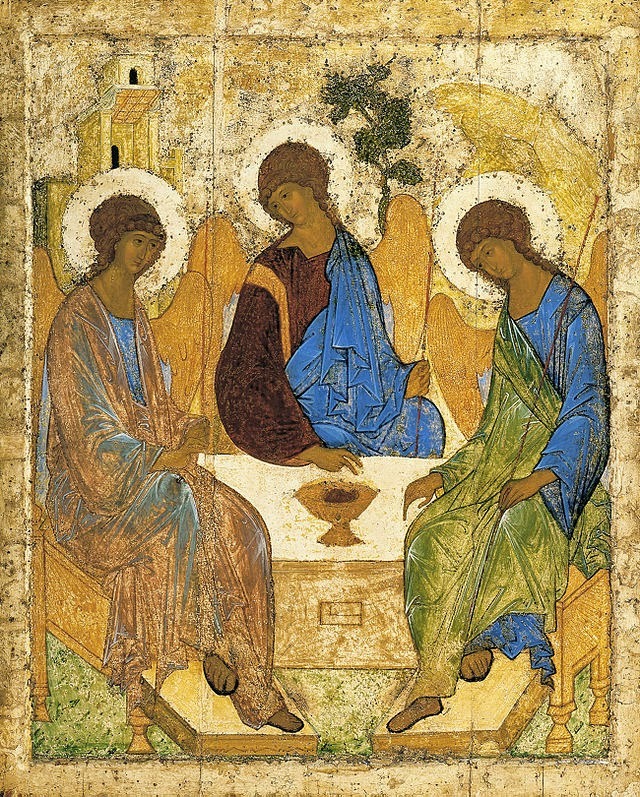 We become icons of the Blessed Trinity. Just think of what that simple gesture means. We touch our heads for the Father – the one whose mere idea, whose smallest thought, created us. This is where we began, in the mind of God. We touch our hearts for the Son – the one whose unceasing love took him to the Cross, and the one who taught us how to love through his own Sacred Heart. We touch our shoulders for the Holy Spirit – the one who gives us strength, and who carries us on His shoulders — on His wings if you will – and who enables us to be God’s arms, working on earth. When we make the sign of the cross, and pray the sign of the cross with those words, we make of ourselves an offering, and a prayer. We embody what the Trinity represents. And we seek to bring that with our lives and with our actions to all those we meet. We do it in the name of God – all that He is, all that He does.